No, it’s not Christmas yet but pretty darned close because a Walk The Moon/The Mowgli’s show couldn’t possibly be anything other than rainbows, cotton candy, and unlimited hippie hugs for all. 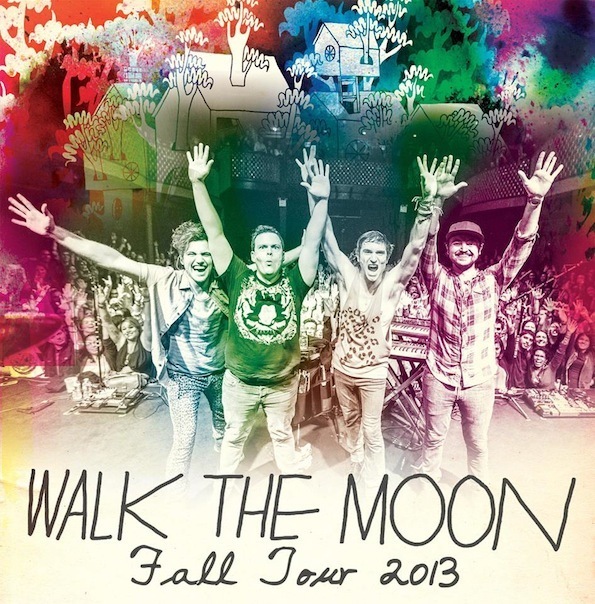 Between Walk The Moon with “Tightrope” and The Mowgli’s singing “San Francisco” (in SF, no less), you know you wanna go. Yes we have tickets, silly. So don’t front, just drop a sweet little email to contests@theowlmag.com with your full name in the body and “Walk The Moon @ Regency, SF” in the subject line. If we pick you, a pair of tickets to the show is yours so get your dancing shoes ready! See? Happiness really is free. Literally if you stick with us. But if you hate taking chances, tickets are available here.